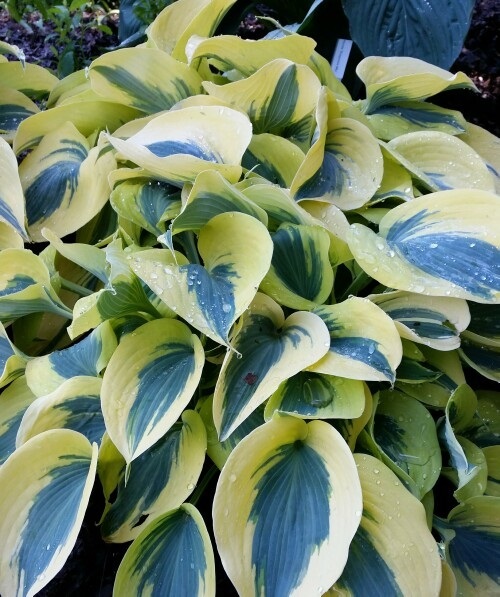 Medium sized mound of showy, frosty blue leaves with extra wide, bright yellow margins. The margins lighten to creamy white and light lavender flowers are produced in summer. Part shade to shade.